Google SketchUp is a powerful 3D design tool, and builders have taken notice and are using it to help with their daily work. You can design and build a house in 3D from scratch, or you can go into finer details and use SketchUp to calculate those tricky compound miter angles. Another handy trick that can be used by professionals and DIYers alike is calculating the volume of concrete needed for a job. 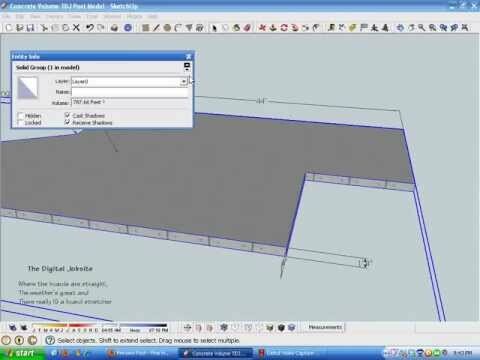 The video below details the simple process needed to calculate even the most complex of concrete slabs and footings. After figuring out much concrete you need, you can also calculate the amount of rebar needed for the job. 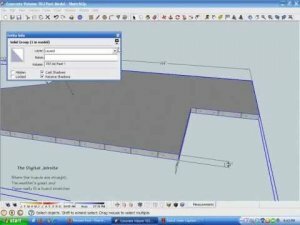 If you want more SketchUp tricks, be sure to visit the Digital Job Site blog over at FineHomebuilding.